Shooters should arrive at 8:30 a.m. 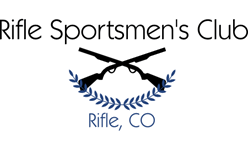 Firing starts at 9:00 a.m.
Rimfire or center fire varmint calibers are allowed. The course of fire will be 5 targets at 25, 50, 75, and 100 yards. One round per target. Shooters and spotters alternate position. Only hits on the golf balls count. Rimfire rifles only at 25 and 50 yards. Rimfire or varmint calibers at 75 and 100 yards. Competition is open to all. Limit 30 shooters. Contact Perry S. at 970-984-6092 or John B. at 970-625-5557 for more information or to pre-register.